The leaders discussed bilateral cooperation between the two countries and exchanged views on regional and international developments. 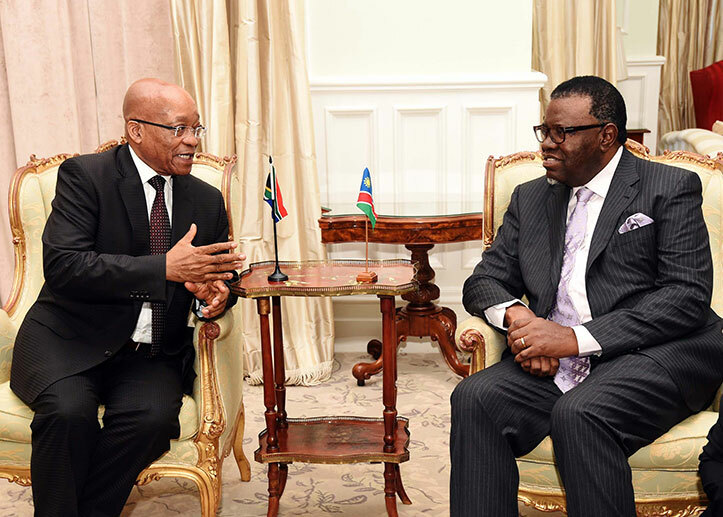 On Wednesday, 6 May, President Hage Geingob of Namibia paid a courtesy call on President Jacob Zuma in Cape Town. Bilateral cooperation between the two countries covers a wide range of fields, including, trade and investment, energy, water, transport, agriculture, science and technology, education, defence and security, etc. Significant progress in respect of the bilateral cooperation has been made over the years, as evidenced by the existence of over 60 agreements and memoranda of understanding. There is also a strong trade cooperation between South Africa and Namibia. For example, in 2014, South Africa exported goods worth R49,1 billion, while Namibia exported goods worth R6,2 billion. "We want to reassure those who have plans to travel to South Africa that our government is in charge. The violence has stopped. We are now working hard to ensure that nobody within the borders of our country is victimised based on their country of origin," Minister Radebe said. Peace and calm have returned to communities wracked by xenophobic violence in recent weeks, according to Minister in The Presidency, Jeff Radebe, who sought to reassure the country and the world following the attacks on foreign nationals. He was speaking at the first Inter-Ministerial Committee (IMC) briefing on migration, held in Pretoria on 28 April. The IMC was appointed by President Jacob Zuma to deal with the underlying causes of tension between communities and foreign nationals. 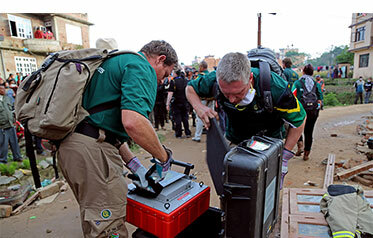 The briefing was called after the President and various ministers consulted various organisations and sectors representing both South Africans and foreign nationals in the country following the earlier attacks this month. Minister Radebe said the Government continued to actively support displaced foreign nationals in the country through the provision of food, shelter and other necessities. The Department of Social Development was leading the intervention and psychosocial support had been provided to 812 individuals on site at the shelters. Reports that some foreign nationals had begun to return to their communities were encouraging, the Minister said. The IMC urged communities to open their arms to returning foreign nationals and to assist in their reintegration. The return of displaced persons to their communities resulted in the official closure of Elsburg Shelter on 23 April. "Those who were not yet ready to be reintegrated have been accommodated at the Primrose Shelter." Minister Radebe said foreign nationals who were in the country illegally were either detained for prosecution or deportation by the Department of Home Affairs, and the department was helping displaced people to verify their status. He said the Department of Home Affairs was working closely with foreign missions in South Africa to ensure the smooth repatriation of those wanting to return voluntarily to their home countries. 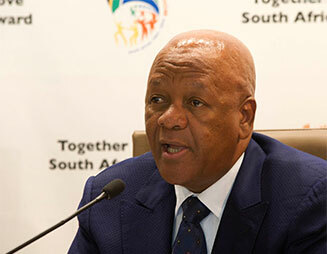 Despite the events of the past weeks, Africans from other countries still considered South Africa a safe place to visit, Minister Radebe said, adding that in March, 10 548 people from Ethiopia, Malawi, Mozambique, Tanzania and Zimbabwe visited South Africa. The republic had welcomed 13 533 people from the same countries from the beginning of April to date. A colourful parade representing different African countries was held on the lawns of the Union Buildings on 2 May – the start of Africa Month. 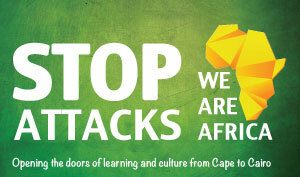 The Department of Arts and Culture and various African countries have joined hands to send out a united message against attacks on foreign nationals by celebrating Africa Month. Artists representing a diverse range of African languages and cultures paraded through the streets of Pretoria's city centre in a show of unity towards the Union Buildings. State Security Minister, David Mahlobo, delivered the keynote address on behalf of President Jacob Zuma, saying arts and culture could serve as an instrument to bring unity among African people. The Sudanese community in South Africa also supported the efforts by the South African Government to unite all Africans. Gassim Mustafa from the Sudanese Embassy said all should work together to build a united Africa. The teams ran seven theatres in five hospitals, carrying out major surgical procedures, according to the non-profit organisation, while the rescue team searched through the city and deep into the rural areas, marking out buildings where victims laid buried. As part of the humanitarian mission of the Gift of the Givers relief organisation, deployed in the earthquake-struck Nepal, by 5 May, 68 lifesaving operations had been conducted. 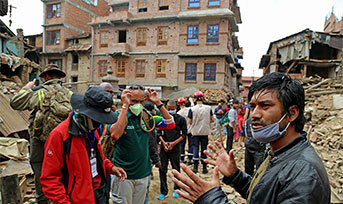 The South African surgeons and trauma specialists touched down in Nepal last week. The first team, comprising 43 members for search and rescue, had arrived in Kathmandu earlier. “A primary healthcare team is touring several mountainous areas, carrying out house visits and doing outreach programmes for certain hospitals. Patients and their families coming from distant rural areas to the city hospital for medical care are hungry,” the organisation said. 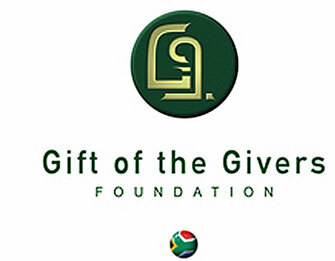 Gift of the Givers also provided two meals a day for the patients and their families. This was in addition to food parcels which had been packed for distribution to those in distant areas. To assist with shelter, tent material for 4 000 families was also purchased by the aid group. On 25 April, a 7.8 magnitude earthquake shook Nepal, killing thousands while limiting access to food and leaving some 3,5 million in need of food assistance. Entitled "Promoting Fisheries & Aquaculture and Maritime Safety & Security Cooperation in the Indian Ocean Region", the workshop shared experiences and best practices on local and regional initiatives related to the fisheries and aquaculture and maritime safety and security. The Indian Ocean Rim Association (IORA) recently convened its first Blue Economy Core Group workshop in Durban. The workshop analysed the capacities, needs, technology transfer, strength and weaknesses of member states in terms of the Blue Economy as well as promoted interstate trust and cooperation for maritime safety and security. Speaking at the opening of the two-day seminar on 4 May 2015, the Deputy Minister of International Relations and Cooperation, Nomaindiya Mfeketo, said there was a lot of untapped resources in the ocean. “For centuries, lives and livelihoods have been entirely dependent on the ocean for food, recreation, transport and economic transaction. 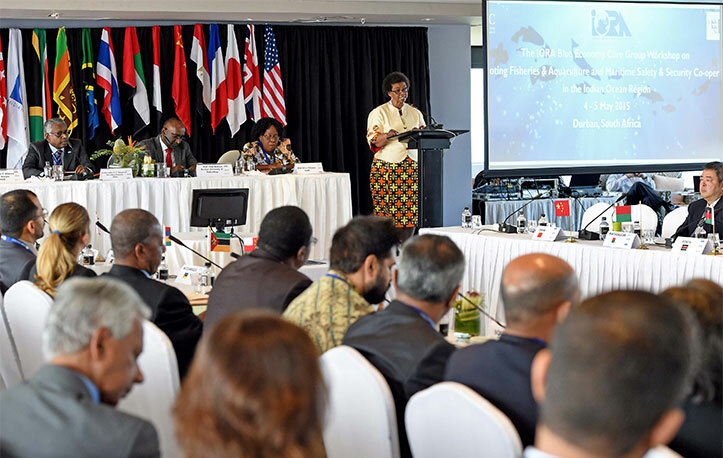 Indeed, the time is here to maximise the benefit from these facets of our oceanic resources,” she said. At a domestic level, Deputy Minister Mfeketo outlined that South Africa had its own strategy, which was launched by President Jacob Zuma late last year, known as Operation Phakisa. It encompasses marine manufacturing and transport, aquaculture, offshore oil and gas exploration, as well as marine protection and governance. “We aim to optimise this convergence of the domestic priorities and the IORA priorities, as an area of high-value potential,” said Deputy Minister Mfeketo. The South Africa-Zimbabwe Joint Permanent Commission on Defence and Security (JPCDS), an annual bilateral meeting held to discuss matters of mutual concern, met on 6 May for its ninth session. South Africa and Zimbabwe met this week to discuss common challenges faced by both countries in areas of defence and security as well as to propose solutions to the challenges. The Minister of Defence and Military Veterans, Nosiviwe Mapisa-Nqakula, officially opened the session, which was preceded by a preparatory meeting of senior officials. The two countries share very strong relations which have been maintained since 1994 when bilateral relations between them were normalised. The relations between the two have seen the signing of 27 memoranda of understanding and agreements. “The signing of the agreements has necessitated regular interaction between various South African government departments and Zimbabwean ministries, including exchanges between the Cabinet ministers of the two countries,” Defence and Military Veterans spokesperson Joy Peter said. The JEC is an initiative agreed upon between the two countries to strengthen economic ties and to attract foreign direct investment from Saudi Arabia into South Africa in targeted sectors. It also aims to promote sound business-to-business cooperation. 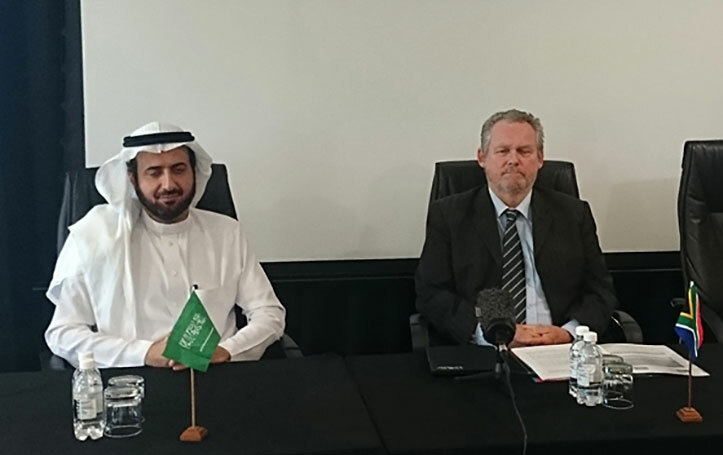 The Minister of Trade and Industry, Rob Davies, recently co-chaired the Sixth Session of the South Africa-Saudi Arabia JEC with his counterpart, Twafeeq Al Rabeeach, of Saudi Arabia. Minister Davies said although South Africa’s exports to Saudi Arabia improved last year, the trade deficit was still in Saudi Arabia’s favour. “South Africa’s exports to Saudi Arabia showed an increase from R2,6 billion in 2013 to R4,7 billion in 2014, reflected by an annual growth of 80,62% in 2014. “The export trend, with an average growth of 20,42% from 2010 to 2014, was overcome by a strong upward import trend that recorded a continuous increase in imports at an average growth of 39,22% in the same period. “South Africa’s imports showed a sharp increase from R23,6 billion in 2010 to R77,3 billion in 2014,” said Minister Davies. SAA Cargo has placed an embargo on the transportation of hunting trophies. SAA Cargo has in the past experienced a problem where some of the shipments containing hunting trophies were miss-declared and fined in a foreign country. In this particular instance, early in April 2015, a shipment lodged as machinery spare parts was discovered in Australia while in transit to Kuala Lumpur. “The shipment contained elephant tusks and was seized. We [SAA Cargo] were issued with a notice of seizure. We had to act swiftly to curb the problem of illegal transportation of animals,” said SAA spokesperson, Tlali Tlali. SAA Cargo will keep the embargo in place until all other options have been considered and stricter control measures have been put in place to prevent a recurrence. “When such measures are implemented, we will advise all stakeholders accordingly in South Africa and at our international stations,” said Tlali. – Source: www.SAnews.gov.za.